You must have heard of proxy servers to get past any firewall. There are different types of servers that you can use. 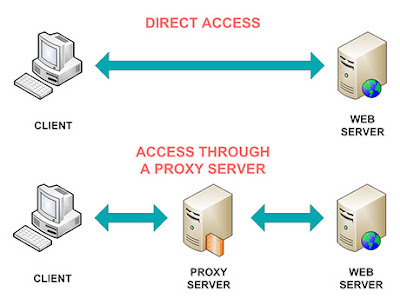 Let us understand what is a proxy server and should you use it. What is a Proxy Server? and Should You Use It? A proxy server is a computer that helps provide indirect network services between a client computer and the Internet. The proxy server either may be located on the client’s local computer or may be placed at different points between the client computer and the destination servers. It acts as an intermediary between a client computer and another server that is the endpoint computer or server. All users can use the cache of a proxy server. This makes it very popular among user clients. If a particular Internet site is used frequently, it gets stored in the proxy server’s cache. Thus, the response time is very short and using its previous interactions, it can help troubleshoot any problems. How to Proxy Servers Work? When a client requests for a web page over the Internet, the proxy will look for it in its cache. If the page is found, it is returned to the user without forwarding the client’s request over the Internet. In case the requested web page is not found in the proxy’s cache, the proxy server will use its own IP address to get the page from the server on the Internet. After the page is returned, the proxy will reply to its original request by forwarding it to the user. A proxy server is used for both legal as well as illegal purposes. A proxy server can be used for improving security in businesses as well as for administrative control as well as caching services in organizations. Proxy servers help private users to enable user privacy as well as anonymous surfing. With the help of proxy servers, one can even monitor the traffic as well as uncover the user privacy. There are different types of proxies used by clients. Some servers can help many users at once and some cater to only one per server. These are called as shared proxies or dedicated proxies. These proxies send the request of a client forward to web servers. The client can access the forward proxies by directly surfing the web proxy address or by configuring the Internet settings. Using a forward proxy may help overcome firewalls and improve the privacy and security of a user. However, it is often used to download illegal materials online. A reverse proxy can handle all requests by a client and forward them to the internal network servers. When the request to one or more proxy servers is forwarded, the response is forwarded to the client computer. The client will never get any information related to the origin of the response. An open proxy is a type of forwarding proxy server that is accessible to anyone over the Internet. Anonymous proxy servers do not hide the IP address of a user but provide proper anonymity. However, these anonymous proxies are easily detectable by various sources. Distorting proxies can modify the HTTP headers and help in disguising the original IP address. Proxy servers are useful for many purposes like blocking objectionable websites from users or reformat the web page as per a set of audiences. It also helps many organizations as well as personal users from accessing the Internet. At times it also helps in preventing computer viruses and malware attacks. It can also help in performance improvement, filtering user requests, blocking certain web pages or websites, anonymous browsing to mask online activities, etc. Thus, proxy servers are useful in many ways to access the Internet where it is difficult to get free access in case of geo-restricted content. However, it is recommended to use VPN solution for safe and encrypted communication over the Internet.